CarGurus has 3,291 nationwide GL-Class listings starting at $4,450. For the well-heeled among us who desire a full-size sport ute with power, plush, panache, and even a bit of practicality, the 2016 Mercedes-Benz GL-Class might be just the ticket. Sporting 5 doors, 7-passenger seating, 93.8 cubic feet of carrying capacity with the rear seatbacks folded, and adult-size third-row room, the GL-Class is also expected to offer little in the way of upgrades from the current edition. There are some hints out of Deutschland, though, that a reworked version of the GL-Class, called the GLS, is on the drawing board. This new and improved version of the GL-Class is expected to offer improved mbrace2 infotainment, a noticeably restyled profile, a reworked dashboard and center stack, and a few tweaks to the current powerplants. 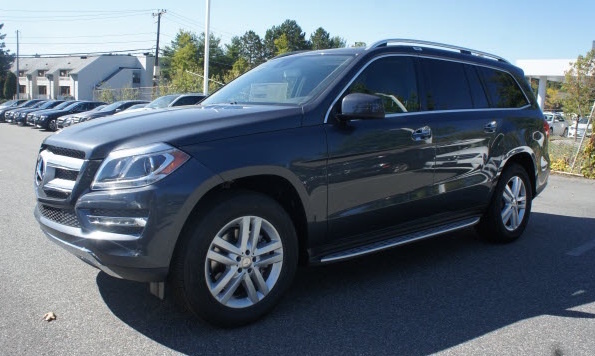 Although some reviewers claim a late-2016 debut for the GLS, a dearth of reliable information about this upgraded GL-Class leads one to believe that the 2017 model year seems a more reasonable release date. As of the present, however, look for the 2016 GL-Class trims to again include the entry-level GL350 BlueTEC and the GL450, along with the up-featured and up-powered GL550, and the track-tested GL63 AMG, which remains a product of M-B’s AMG racing division. And again for the upcoming year, all GL-Class iterations come with standard intelligent all-wheel drive (iAWD), thus each carries the winter- and terrain-taming 4Matic designation. 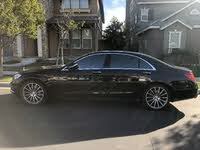 Power for the virtually unchanged GL350 BlueTEC remains a 3.0-liter turbodiesel V6 that’s mated with the returning 7-speed shiftable automatic transmission. This oil-burner puts out 240 hp and a whopping 455 lb-ft of torque, with fuel efficiency slated to equal the current 19 mpg city/26 highway/22 combined. Choosing to go with the 2016 GL450 when it adorns dealer showrooms in the late summer of 2015 will get you a gasoline-fired 3.0-liter turbocharged V6. Again managed by the ubiquitous 7-speed shiftable automatic, this peppy force-fed V6 throws down 362 hp and 369 lb-ft of torque, to the tune of 17/21/17. And as with all the GL-Class non-diesel trims, this potent 6-cylinder is equipped with standard stop/start technology that shuts down the engine at a stop and restarts it when the gas pedal is pushed. Stepping up to the 2016 GL550, look for a 4.6-liter twin-turbocharged V8 mill to return, along with the traditional 7-speed shiftable automatic transmission. Expect 429 hp and 516 lb-ft of torque from this V8-led drivetrain, with mileage slated to remain 13/18/15. At the top of the powertrain heap, of course, is the race-inspired GL63 AMG, with its standard 550-hp 5.5-liter V8 engine and its sport-tuned 7-speed shiftable automatic. Scheduled to pound out 560 lb-ft of torque, this hog won’t pass up many gas pumps with its 13/17/14 mileage estimates. Towing capacity, meantime, is maxed out at 7,500 pounds with the proper equipment, including an optional trailer hitch and wiring that remains a dealer-installed accessory. Appearance and handling goodies adorning the various 2016 GL-Class trims include 19- or 20-inch alloy wheels, a self-leveling suspension, a power sunroof, roof rails, and a power-opening liftgate. Heated power-adjustable and power-folding mirrors adorn higher trims, while the GL63 AMG adds a standard sport-tuned suspension, beefed-up brakes, and adaptive stabilizer bars (M-B’s Active Curve System). Inside, look for premium vinyl or leather upholstery, heated power-adjustable front seats, and full power accessories, as well as cruise control and telescoping tilt-wheel steering. A rear-view camera is also standard in all GL-Class iterations, with higher trims adding standard front and rear parking sensors and a surround-view camera system. Dual-zone automatic climate control adorns lower echelon trims, with the GL550 and the GL63 AMG each boasting standard tri-zone climate control. And again, higher trims are slated to return with memory for driver's settings, a heated power-adjustable steering wheel, heated second-row seats, heated and cooled cupholders, and massaging front seats. Furthermore, the flagship GL63 AMG is again expected to boast a sport steering wheel and a wealth of specifically upgraded cabin accents. All trims are also anticipated to return toting Mercedes’ COMAND infotainment technology, as well as Bluetooth-interfaced mbrace2 hands-free communications and smartphone apps, with all of these integrated into a 7-inch touchscreen display. Additionally, look once again for higher trims to sport standard GPS navigation and upgraded infotainment features. Entertainment in the lower-tier 2016 GL-Class variations includes an AM/FM stereo, HD Radio, satellite radio, a memory-card slot, and a CD/DVD player, with higher trims again scheduled to tote a standard 13-speaker Harman Kardon premium system boasting an iPod interface. Options, meanwhile, include an On/Off-Road package with 6-mode terrain selector, 2-speed transfer case, and front skid plates, while rear-seat DVD entertainment is also slated to return as an option in all trims, along with power-sliding second-row seats and a Bang & Olufsen audio system featuring 14 Surround Sound speakers. Oh, and look for Larte Design’s Black Crystal package to return piling distinctively styled 22-inch alloy wheels, unique exterior adornments, 4 exhaust ports, and an upgraded grille design aboard your 2016 GL-Class. Standard safety equipment expected to return aboard all 2016 GL-Class trims includes 4-wheel antilock brakes (ABS), traction and stability control, front side-mounted airbags, 3-row head airbags, front fog/driving lights, turn-signal-integrated mirrors, pre- and post-collision safety systems, and mbrace2 emergency telematics. A remote anti-theft alarm, of course, is also expected to remain standard across the lineup. Higher trims, meantime, are slated to return with such standard or available added safety items as blind-spot monitoring, lane-keeping assistance, active parking assistance, night-view assistance, and rear side-mounted airbags. Finally, the GL63 AMG is again scheduled to sport a standard Driver Assistance package with adaptive cruise control and advanced driver warning systems. It should be noted, by the way, that no government or insurance-industry safety testing has been done on this jumbo luxury ute. Although owners sometimes find the techno-bling a bit overwhelming in current GL-Class editions, virtually all of them laud this plush sport mule’s power, performance, posh, and quasi-practicality. Look for the 2016 GLS-Class to challenge such rivals as Lexus’ off-road-capable LX 570, Land Rover’s value-laden LR4, Infiniti’s macho-man QX80, and Cadillac’s legendary Escalade. Beware that a hefty MSRP can again be expected with each of these princely people-haulers, while various available add-ons will elevate prices to stratospheric levels. 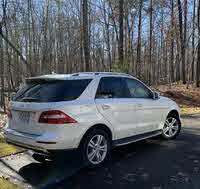 What's your take on the 2016 Mercedes-Benz GL-Class? Jack How can I trust this review when he doesn't even know the 450 engine is a V-8 not a 6? What other mistakes has he made ? Krishna the 2016 is actually a v6 with twin turbo...hence - trustworthy. Users ranked 2016 Mercedes-Benz GL-Class against other cars which they drove/owned. Each ranking was based on 9 categories. Here is the summary of top rankings. 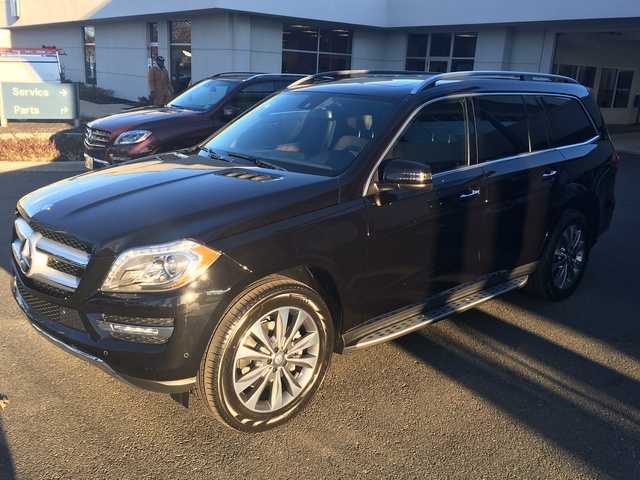 Have you driven a 2016 Mercedes-Benz GL-Class? Hi, i find. your Web very interesting, i am in Africa, how can ï buy and get a GL 450, 2016 model at Cotonou port ?